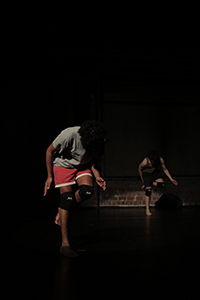 Auditions for Attakkalari’s Diploma Programme in Movement Arts and Mixed Media is now open. We’re looking for individuals who have aptitude as well as talent and are keen to have an international dance education. 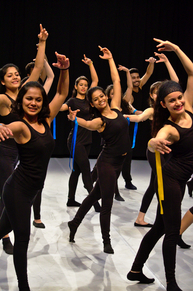 Attakkalari’s Diploma in Movement Arts and Mixed Media programme is the only one of its kind course in India and led by acclaimed International faculty and Indian masters. 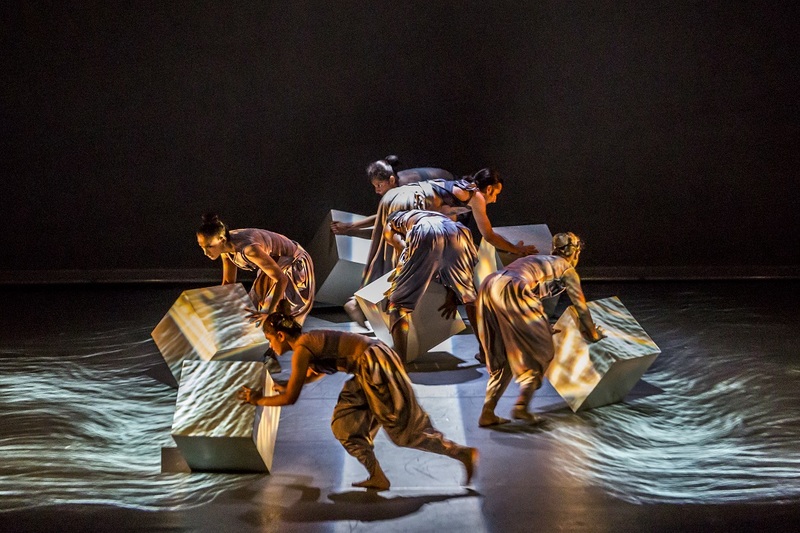 The auditions will be combined with workshops that offer insight into the unique vocabulary developed by Attakkalari through years of research and drawing sustenance from many Indian physical and performance traditions as well as global contemporary dance idioms. 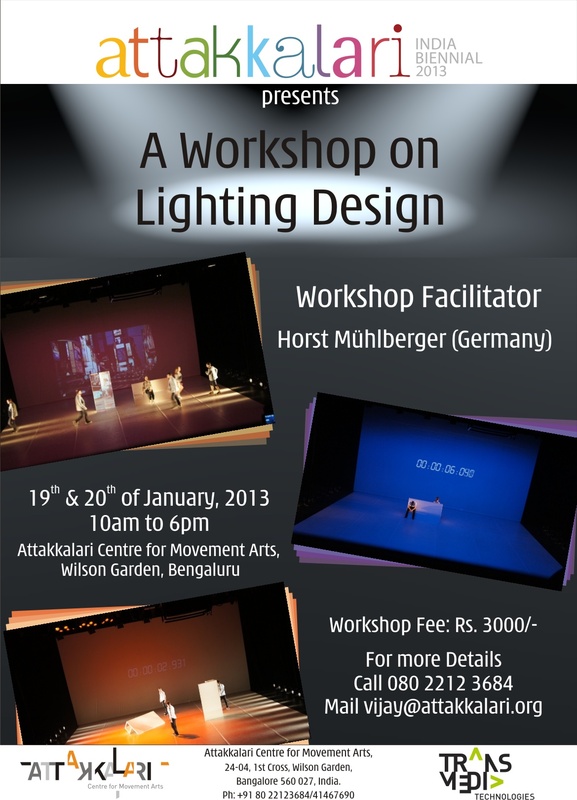 These workshop/audition sessions are led by senior members of the Attakkalari Dance Company. Register for the audition here. This is the Title, Man in a Room, Westward Ho! Outdoor Dance Floor by Salvatore Lombardo reinterprets the contemporary clubbing aesthetics, replacing its imaginaries both in the theatrical and unconventional spaces. With this performance, the choreographer identifies the club culture as a hybrid dimension in which dance and music become a territory of “possibilities" for the bodies pulsating to the beat of techno music. The performance seeks to embody the act of pure sharing, sociality and aggregation of bodies. The body in the age of fluidity and interconnection, represents the bulwark, through which we find ourselves again. It is a door to the world, a symbol of the past, but also an active subject that launches a powerful cry for the future. A tool that can be used to make an iconographic journey around the theme of conflict and resilience. The performance derives from the stories found in the letters written by soldier Joseph B to his loved ones. An Indian woman makes a solo journey in the same year that an Indian robot lands on the surface of the moon. Her allegorical journey interweaves perceptions of the female body, rituals, memories and imagination linked to the moon in a series of striking visual images as she negotiates her place in a strange new world. Situation with Doppelganger is an essay performance about dancing that deals with the appropriation of “black” and other forms of minority dances in the pop culture and minstrel shows of the 19th century. Julian Warner & Oliver Zahn dance a gruelling line-up of black and white dance styles that have been appropriated and commercialised throughout European and American culture. What is the significance of dances? Do they belong to anybody in particular and who then is allowed to perform them? Situation with Doppelganger examines the construction of authenticity, identity and the process of cultural appropriation in its various manifestations. Attakkalari launches innovative short courses in different styles of dance, martial art, yoga, fitness and theatre for aspiring youngsters between 5 and 30 years of age starting on Saturday 5 January 2019 leading to a public performance - Santhulan - on 4th May 2019 Saturday at ADA Rangamandira aided by state-of-the-art stage technologies. Customized classes for different age groups offer a great way to forge friendships and begin a journey of self-discovery, nourishment and holistic development in the New Year. An opportunity not to be missed, where learning is enjoyable, fun, brilliant and yet at times challenging in a good way, helping to find the dancer in you, thus bringing positive transformations to your life. for more details download the brochure. Edmonton- webbcdf@shaw.ca / 780 452 3282. Attakkalari is supported by The Royal Norwegian Embassy, Sir Ratan Tata Trust, Tata Education Trust and the Department of Culture, Government of India.